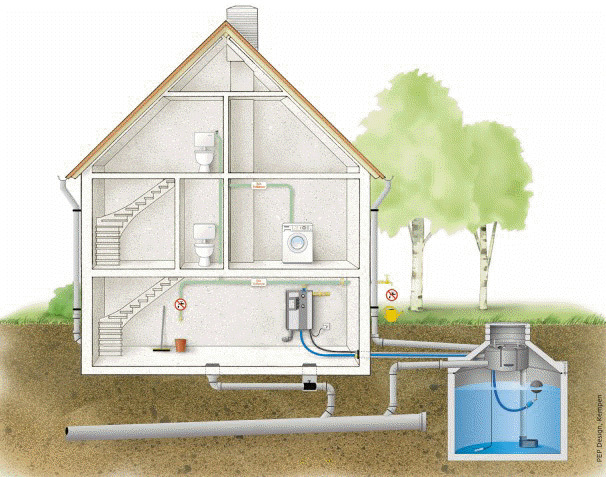 Rainwater Harvesting is a more environmentally correct solution to free water then a well. Well water can contain minerals that may have to be treated before use and the cost of energy to pump water sometimes hundreds of feet to the surface can be significant. Wells draw down the water table which can lower rivers and lakes, as well as run dry. Ground water can be from decades to hundreds of years old. How long will it take to replenish that water. Price is the biggest issue in purchasing a rainwater harvesting system and tanks are what makes up the bulk of the price. We price our systems by the gallon. Systems start at 300 gallons above ground and 1500 gallons underground. Systems usually run from $1.50 to $5 per gallon. Tanks can be installed up to 700,000 gallons or more. The smaller the system generally the higher the price per gallon. Installation, integration, access to site and aesthetics are factors considered when pricing a system. This seems like a lot of money, but our systems should last 20 years or more only requiring maintenance to keep them clean and working. Water seems to be relatively cheap and plentiful, but how much does it cost you by the time it goes through your building and back to the utility. 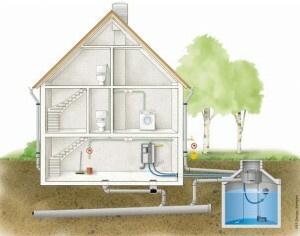 Clean rainwater can pay for itself quickly when considering the amount saved in water treatment. Wells can cost thousands of dollars and the water usually contains minerals and salts. The quality of rainwater is what plants thrive on. Rainwater can increase plant growth more then 20-30% municipal and well water. The life cycle cost and the piece of mind knowing your plants are protected from drought with quality water and environmental stewardship should be reward enough for your investment.